Republic Wireless offers a variety of super-cheap calling and data plans thanks to its WiFi-cellular hybrid calling setup. In just a few days you'll be able to pair the reasonably priced Moto E with those plans. Republic will start selling the Moto E for $99 on October 15th. There are no contracts on Republic Wireless, so that $99 price isn't subsidized at all. 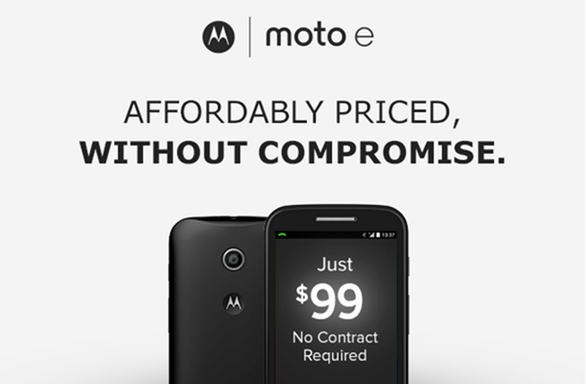 It's not much cheaper than the Moto E usually is, but you can't just bring any device to Republic. 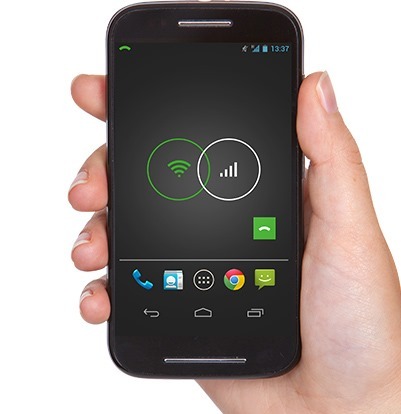 Phones need to have the right tweaks to work with its deeply integrated WiFi calling system. Most customers will need to wait until the 15th to order, but a limited number of people who signed up for information will get access tomorrow. Republic Wireless offers WiFi-only calling plans for as little as $5 per month. The Moto E is 3G-only so the top tier plan is the $25 unlimited calls and 3G data option. LTE devices have a $40 unlimited plan, but the company (which is a Sprint MVNO) assumes you're going to be using WiFi calls to help reduce its costs.